The more things change, the more they seem to remain the same in India. When the Bharatiya Janata Party (BJP) was ousted from government in three states in December 2018, we highlighted the plight of the farmers there. The Indian National Congress, which displaced the BJP in Madhya Pradesh, Rajasthan and Chhattisgarh, moved into the drivers’ seat vowing it had the farmers’ interests in mind. Less than two months into the new regime, however, it seems it is going to remain all about the ‘cow belt’. Irrespective of the debate on whether or not it is a draconian law, using the NSA to put citizens behind the bars for killing an animal is foggy. The irony becomes clear when such cases are juxtaposed with the fact that a host of civil rights activists, including lawyer Sudha Bharadwaj, are under arrest for allegedly plotting to kill the Prime Minister of the country, but don’t face NSA. They were instead booked under the Unlawful Activities Prevention Act and are being probed by a mere state police, not the National Investigation Agency. Without getting into the merits of either case, what we are staring at is mindboggling: Planning the murder of the head of the Executive is an “unlawful activity”, but killing a cow is a matter of “national security”. The cow saga doesn’t end here. 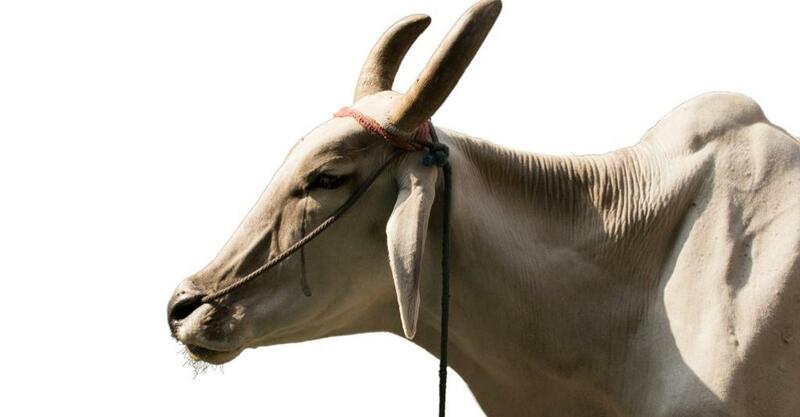 The MP government is reportedly planning to tax luxury cars to fund gaushalas (cow shelters). Rajasthan Chief Minister Ashok Gehlot has dropped similar hints. The fact that stray cows have today become such a menace is exactly because such politics is getting obfuscated. Whenever stringent anti-cow slaughter policies are questioned, their defenders put forward ‘constitutional obligation’ as an argument. Does a Constitution based on the ‘liberty’, ‘equality’, ‘fraternity’ and ‘justice’ really mandates draconian measures? Does it lend any extra leverage to this one species of mammals among the more than 400 that are found in India because it is significant to the dominant religious community? Not really. “The State shall endeavour to organise agriculture and animal husbandry on modern and scientific lines and shall, in particular, take steps for preserving and improving the breeds, and prohibiting the slaughter, of cows and calves and other milch and draught cattle,” is what Article 48 of the Constitution of India lays down. The Constitution was drafted by arguably some of India’s best minds of their time. Particularly, the part on cows and their progenies followed heated, well-recorded debates. So there is no reason to think that the semantics is incidental: The focus is clearly not on religion and/or faith be it of the individual’s or communal. Sadly though, that has become the sole focal point of action on this article. “Preserving and improving the breeds” have long taken a back seat, especially due to increasing mechanisation of agriculture in India. In a race for better yield from the fields, India has somewhere left its draught cattles behind. As far as milch cattle go, the native varieties have been increasingly replaced by foreign varieties like Jerseys and Friesians, once again for better yield. What is Article 48? It is part of a bunch of Directive Principles of State Policy — what makes Part IV of the Constitution — that are “fundamental in the governance of the country” but are not enforceable by any court. They span Articles 36 to 51 of the book. It is worthwhile to look at how the governments of the day, so zealous about the cow, fare when it comes to other such directives. Article 38, the first among these principles have two parts: The first deals with “securing and protecting” a “social order in which justice, social, economic and political, shall inform all the institutions of the national life”. On the ground though we are still a country struggling to even secure a third of our legislative seats for half the population — the women. The second part directs to “strive” to minimise inequalities in income, status, facilities and opportunities. Yet, wealth is increasingly getting concentrated in the hands of a few in this country. This also violates Article 39 (c) — the operation of the economic system does not result in the concentration of wealth and means of production to the common detriment. Countless children from disadvantaged groups — the article talks about reducing gaps between groups, not individuals alone — still find it tough to access basic education and suitable employment. Article 39 (a) seeks that “citizens, men and women equally, have the right to an adequate means of livelihood”. The situation on the ground: India’s unemployment rate jumped to a record 6.1 per cent in 2017-18 and the Narendra Modi government has stopped collating that data. We are also far from wage parity for men and women as sought by Article 39 (d). “Ownership and control of the material resources of the community are so distributed as best to subserve the common good,” says Article 39 (b). The experience of communities, especially the indigenous ones, have been just the opposite. The adivasis of Niyamgiri hills, in Odisha, will vouch for that. Once you set out on a tour of the directive principles, you will often stumble across such underachievement: the failure to guarantee a living wage, decent work conditions, “full enjoyment of leisure and social and cultural opportunities”, to protect scheduled castes and tribes from exploitation. It is not about the State alone. Citizens baying for blood in the name of the cow also need to be reminded of their Fundamental Duties (Article 51 A) too, including : “to promote harmony and the spirit of common brotherhood amongst all the people of India”; “to value and preserve the rich heritage of our composite culture”; “to develop the scientific temper, humanism and the spirit of inquiry and reform”; “to safeguard public property and to abjure violence” and especially part (j) — “to strive towards excellence in all spheres of individual and collective activity so that the nation constantly rises to higher levels of endeavour and achievement”.